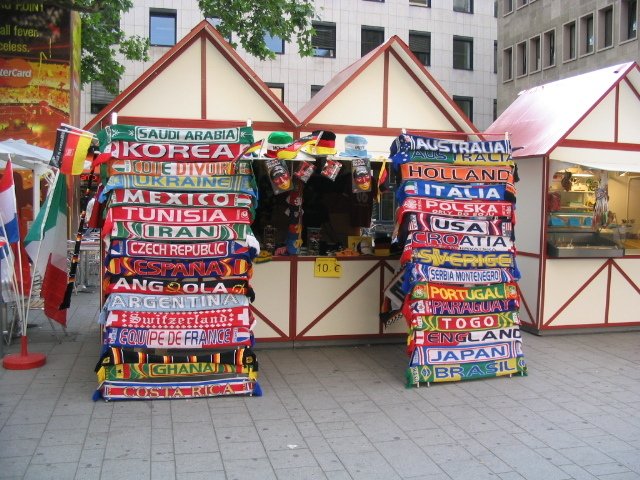 We are now less than seventy days away from the World Cup — two months and change before the inexorable march of time brings the attention down to Brazil, where American audiences will forget their antipathy towards ‘the European football’ and rush to support the U.S. Men’s National Team. Again. Every four years the World Cup captures the nation’s attention, until the U.S. is eliminated, and everyone has successfully slid their fandom onto another squad. There are bright colors, there are raucous crowds (featuring more American fans than you might expect), and there is a metric ton of soccer. None of that does much to assuage the average American fan’s assessment of what’s about to happen at the world cup. Group G, the pod of teams that the USMNT wound up in, is where dreams go to die. Comprised of Germany, Ghana, Portugal, and the United States, Group G features one team that could feasibly win the entire tournament (Germany), one team with Ronaldo (Portugal), and one team that has successfully beaten the U.S. in the last two World Cups (Ghana). That’s not awesome. So what can ease the blow? After all, on paper, it’s a recipe for the U.S. to finish the group round with exactly zero points and a quick exit home — a win in the group stage is worth three points, a draw is worth one, and at the end the highest scoring teams move on to the knockout round, or the round of sixteen. But the games aren’t played on paper, and there are ways for the USMNT to take advantage of their relative strengths. Here are four U.S. players who are going to have to play above and beyond their A game in Brazil. That, right there, is Tim Howard. No relation to Ron. 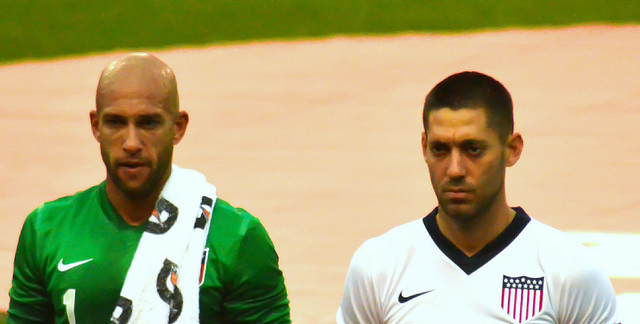 Tim Howard has been a member of the U.S. Mens National Team since 2002, and the starting goalkeeper since 2010. He is awesome and very good at keeping the ball out of the net. 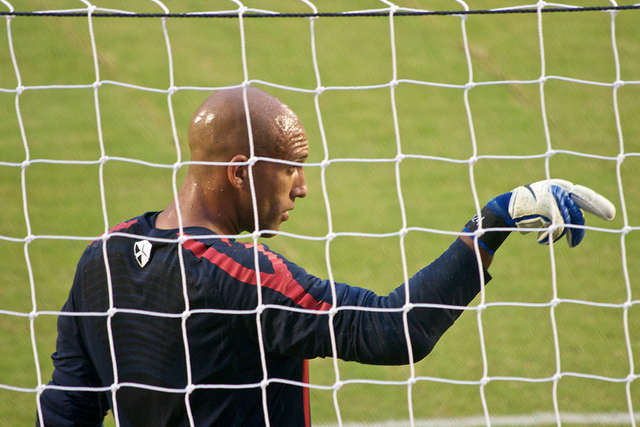 Howard, 35, is likely facing down the last World Cup of his career, and the goalie, who was instrumental in the U.S.’s surprising foray into the round of sixteen in South Africa, will need to be playing at the apex of his ability as he attempts to keep the offensively-challenged USMNT in each of their matches. Howard, who struggled in school due to his Tourette’s Syndrome, was derided by the media as ‘the cursing goalkeeper’ when he signed with Manchester United in 2003. He currently plays for Everton F.C., a Premier League Team (the NBA of soccer), and has been their starting goalie since 2007. F.C. stands for ‘Football Club.’ The more you know. 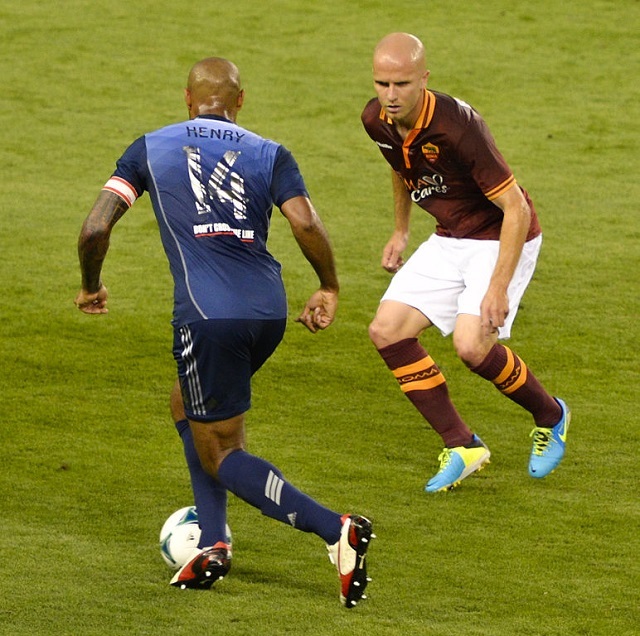 When the U.S. team took on Mexico earlier this week, they came away with a new appreciation for the 4-4-2 and for the talents of Michael Bradley. That game was played to a 2-2 draw. While that might not seem explicitly impressive on the face of it, the fact that the U.S. team scored a pair of goals at all is fantastic. Bradley, the 26-year-old who plays for Toronto F.C. when he’s not with the National Team, scored one of the goals and assisted on another. It was the first time he had been moved from a defensive position, near the backfield, and it freed him up to display his passing skills and his scoring acumen, something the team desperately needs — the last time an American striker has scored in a world cup was twelve years ago, in 2002. For more on the 4-4-2, check out this handy Wikipedia explanation (it has pictures). Highlights from the Mexico game, including both goals, below. This is the weird one. Donovan, the best American soccer player of all time, is joining Howard in ‘Final World Cup’ land. And, honestly, Donovan’s done enough that he could cruise off into the sunset and drink Mai Thais on the Brazillian coast for the duration of the World Cup, and no one would be able to find much fault with it. No one, except for head coach Jurgen Klinsmann. 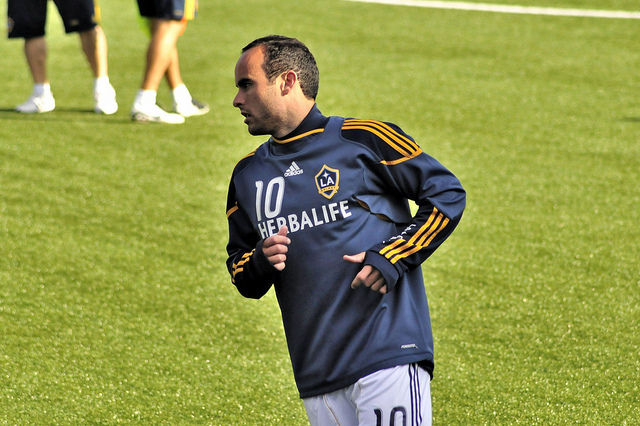 Battling tendonitis in his left knee, Donovan failed to impress his coach, who told the LA Times that “[Donovan] had no tempo in his training sessions; he had no kind of higher pace, higher rhythm; he didn’t take people on” in practice. Somewhere you can hear Allen Iverson commiserating with the star forward. Last but not least, the first American to ever score a hat-trick (three goals in a game) in the EPL, 31-year-old Clint Dempsey is second only to his teammate Landon Donovan in all-time USMNT goals scored — Donovan has 57 to Dempsey’s 36. He’s also gone on the record saying nice things about the team’s World Cup away kit, so he may have eye problems.